Who was this dentist Weston A. Price? After years of treating rampant tooth decay in his patients, Dr. Weston A. Price set out to understand why cavities and poor health were so common in his patients. In order to find the answer, he knew he had to do what no one had done before. Dr. Price chose to travel the world to find people who had little or no tooth decay (a “control group” for scientific inquiry). 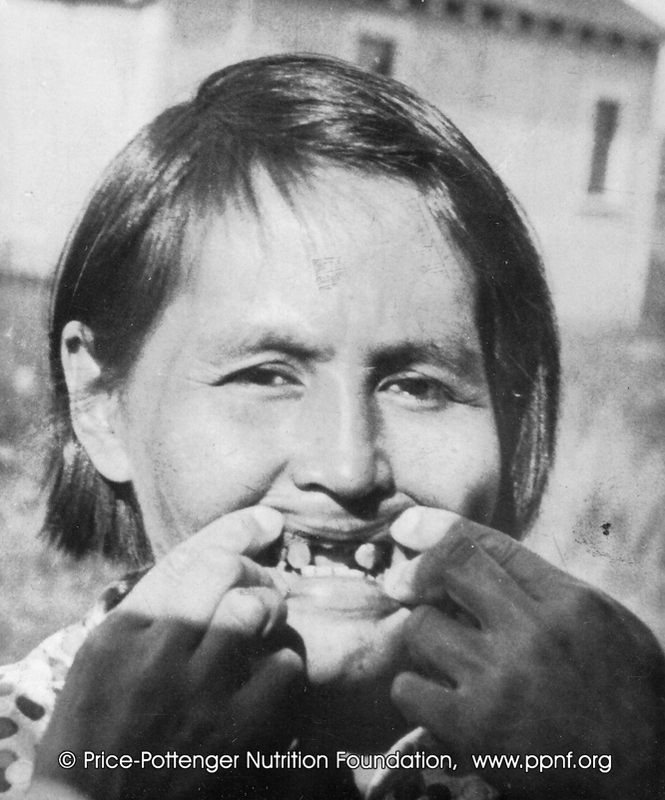 In his travels during the 1930’s he found 14 isolated civilizations with perfect dental arches (no crooked teeth) and bone structure, excellent health, positive mental outlooks and high immunity to diseases like tuberculosis. His findings were in sharp contrast to Americans back home who had crooked teeth, cavities, arthritis, cancer, heart disease, mental illness and other health problems. Dr. Price, being a highly respected researcher, meticulously documented what happened to these civilizations when they were introduced to our modern convenience foods – white flour and sugar, refined vegetable oils, pasteurized milk and canned goods. Due to the advent of the camera, he was able to take pictures to show visually the immediate damaging effects when these peoples gave up their indigenous foods and preparation methods. 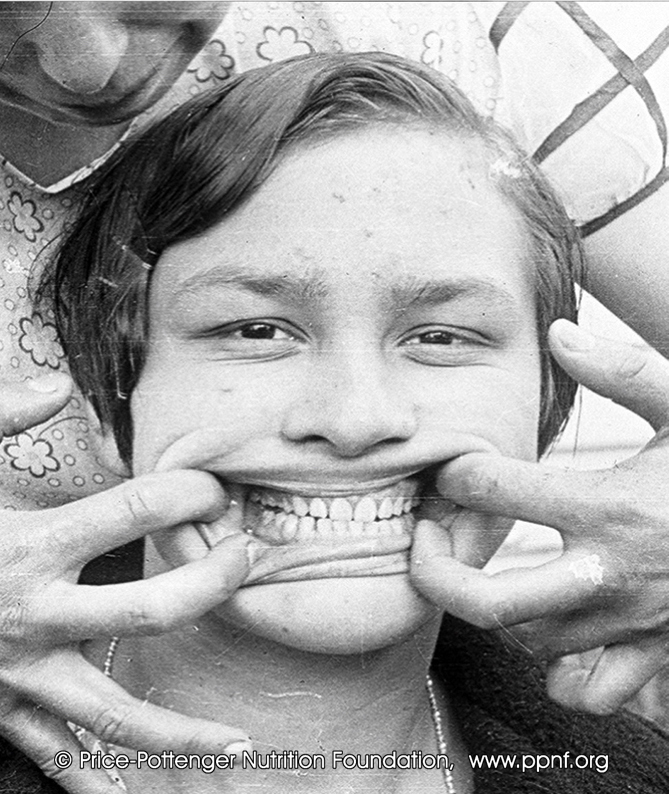 Superb dental formation and nearly complete immunity to cavities was observed in Native Americans (left) who lived on the traditional foods of their culture. Those who ate processed foods (right) experienced crowded teeth and rampant decay. For years Dr. Price completed detailed analysis of traditional and modern diets. He was able to identify the important nutrients lacking in the “civilized” American diet. 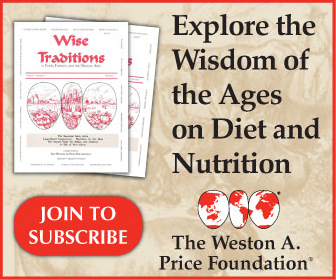 In his foundational book, Nutrition and Physical Degeneration, Dr. Price shared what he found. He offered detailed evidence of the principles of healthy living. He predicted the continued demise of civilized populations if a return to traditional eating did not occur. Which brings us to today. Our population in this country is getting sicker and sicker, despite advice from all the “health” related organizations. Fortunately, Dr. Price’s principles are gaining exposure through the work of the PRICE POTTENGER FOUNDATION© and the WESTON A PRICE FOUNDATION© which now has nearly 600 local chapters around the world. And the results are incredibly encouraging. Diseases are being healed naturally and children are again being born with excellent health and bone structure. To see where your closest chapter is located, click here. Both of the above mentioned foundations are funded without money from outside interests, therefore the information they provide is without bias or profit motive. I encourage you to consider membership in one or both of these fine organizations. I am proud to be a founding co-leader of Nourishing the Lakeshore of West Michigan, the shoreline chapter of the Weston A. Price Foundation. The fact that the populations Dr. Price found had no vaccines and were in perfect health, is most certainly noteworthy.